Hey Bookworms! Alright, so there is a lot to discuss with this novel, but I know it will be hard, mainly due to spoilers. I ended up finding this book on the shelves early, and immediately picked it up and finished it within two days! That's how powerful it is! Also, if I could give this more than a 5 star rating, I would, because it deserves about a million of them! So of course right from the beginning, this novel dives into the story in the most powerful way. Kind of caught me off guard, but obviously kept me wanting more! Right from then, I knew that this book would be something else, definitely surprising! I was so drawn to the characters, that for everything that Lily was going through, I could physically feel the same thing. Most of you know as well that it's hard for me to cry when reading or watching something, and let me tell you, I didn't hold them back. The tears were flowing, the heartache was apparent, and the feels were real! There is really nothing I could dislike about this book! I know that some people only know I've read November 9 by Colleen Hoover, but own all her books. I have been intrigued by Colleen Hoover way before I even read her novels, and from all the little bits of writing from her that I have read, I've always wanted to read her books (just couldn't afford it back then). I am saying this right now, before I get into more of this review. This novel is my absolute favourite novel of all time! Not just my favourite novel by Colleen, although it truly is, but my favourite of every book I've ever read. How I will ever read another book and love it as much as this, will be pretty hard to do. This book is unlike anything I've ever read before. It's so raw, powerful and emotional. It is a work of fiction with real-life stories, pain and heartache. And for that I applaud you Colleen! Lily has already gone through so much from her past experiences, so obviously when someone like Ryle comes along, she is a little hesitant. However, you can tell that they have this bond that connects them, which cannot be seen on the surface. While reading through their story, I knew that at some point that the other shoe was going to drop and that the carpet was going to pull from underneath me while reading this...and it did. I kind of knew at some parts what specifically would be happening, but it sill shocked me regardless. I really loved the aspect of the old school writing and how Lily went back to the journals and re-read them. You get a deeper aspect of her past life, and really dive into her background. You get not only the kind of love she has always given, but also the sadness of her past. The things that her father did were some of the most gut-wrenching scenes I've read, and caught myself shocked to the point where I was covering my mouth 95% of the time. "All humans make mistakes. What determines a person's character aren't the mistakes we make. It's how we take those mistakes and turn them into lessons rather than excuses." I will say that this was definitely more scaled up with the fact that these characters were a lot wealthier than most, so that was a little hard to connect to, but you don't really dive into much of the money and rich aspect here. Yes she has an incredible friend who happens to come from wealth, but the love that they have for one another is crazy! Lily and Allysa have this bond as friends, that its basically become family. Towards the end, there is this big talk that the two of them have, and can I just say how amazed I am with what Allysa said? I obviously cannot reveal what it was, but once you read the book, you'll know what I mean.It just shows you that sometimes having amazingly close friends like this is more important than anything in the world. Throughout the novel you can tell that there is a strain between Lily and her mother. All of the resentment she was holding her entire life was affecting the life she was currently having. You see it begin to rebuild, and I loved that! Okay before this review becomes way too long, all I can say is ATLAS! Ugh, like him alone, I could talk about forever! His own life and demons he faced were just something that I wanted to read more about. Literally I cannot even talk about because of spoilers, but Atlas! So here are some more quotes that I found in this novel (Although the entire novel is basically quotable, because it's just so amazingly strong) that really stopped me while reading. "But it gets really hard to swim when you're anchored in the water." "He was a huge wave that left a lot of imprints on my life, and I'll feel the weight of that love until I die. I've accepted that." "In the future...if by some miracle you ever find yourself in the position to fall in love again...fall in love with me." Okay, so let me get into the FEELS I had, because there were many! The very last entry in Lily's journal all those years ago seriously had me ugly crying, it was unbelievable! Then moving to one of the most powerful speeches I've heard coming from a novel, especially Lily. Literally pages 213-217 explain it all, and showcase Lily as the person who is ready to move on. All of the bottled up emotions, finally being released and I found myself multiple times cheering her on or wincing from some of her actions. Of course they were all created with the best intentions, and it was just great! 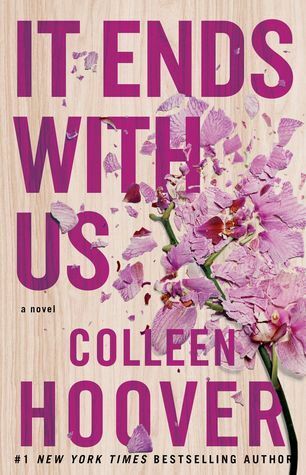 Colleen Hoover has a way with words, and I have to say that this was the best and well written novel thus far. So powerful with the raw emotions and pent up feelings being brought out. The way she wrote these characters completely captured me from the beginning to end, including her Note at the end of the book for readers. Colleen, your note seriously had me in tears, and it just shows a whole other side to you that I am positive everyone is amazed to read. Overall this novel was everything. It showed the pain, the heartache, the heartbreak, the loss, the love, and the sadness. You get more from this novel than anything else. The writing style was stunning, and the pureness of it was just marvelous. I could 100% See this become a movie, and I sure hope it does, and that they do it right, because I envisioned the entire novel playing out. It was so real to me, and now I'm just running out of words to explain how awesome this novel is. 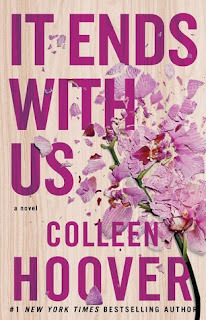 Colleen Hoover you are an outstanding author, and I am so glad to have read such an emotional novel! I really hope you write more, because you have such a talent that I aim to have a sliver of. Bookworms! If you are looking for a deep, emotional and very powerful novel, I HIGHLY suggest you pick this up! This is going on the very top of my Favorites list, because it was just magnificent! That's all for my review! I really hope you enjoyed it, and I really hope that you grab yourself a copy of it! Until the next time, Keep Reading! CoHo is my favourite romance author and I've been waiting for this book since the beginning of this year. The more I read the reviews the more I want it. Ugh, release already!